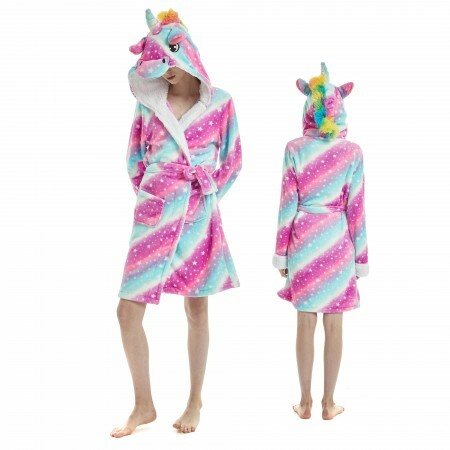 *Hionesies Hooded Robe is made with incredibly soft premium materials and backed by quality stitching, to provide you a luxuriously comfortable experience each time you wear it. *Keep your hands free! Easily carry around your phone or the remote in one of the two front pockets. When not in use, quickly hang your plush robe with the convenient woven-in loop. 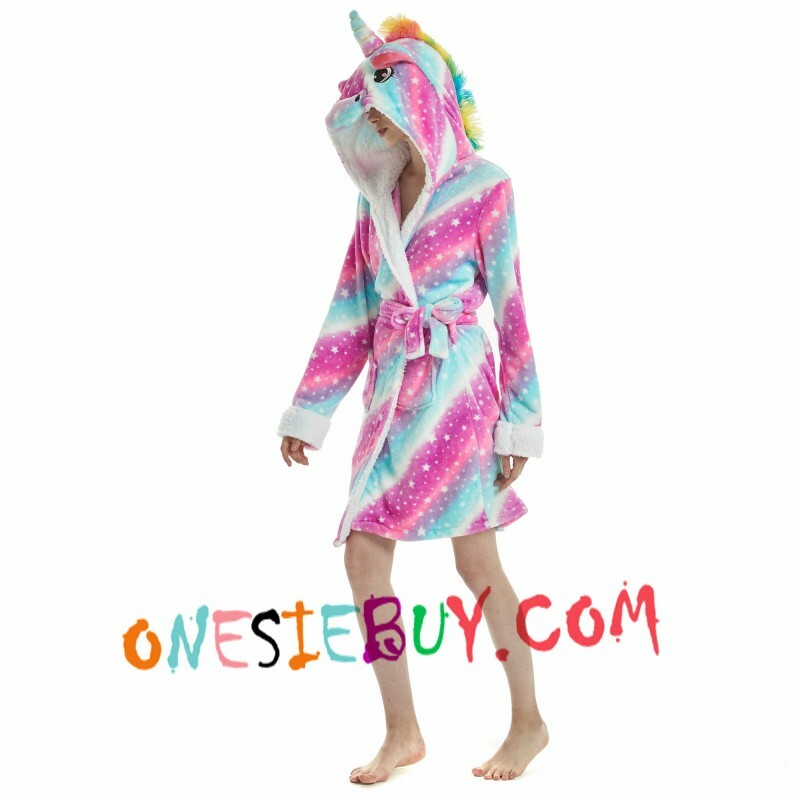 *To keep your robe looking just as cute as the day it arrived, we recommend you machine wash it cold, and tumble dry low. Do not bleach or iron.